One night I just opened my fridge and saw 2 spaghetti squash I bought for something. Tested a few times and this recipe is a perfection. I love baked avocado and baked eggs. Combined with crunchy squash mixed with salsa of heat choice and a drizzle of low sodium organic ketchup – amazing! Oh, and runny egg yolk on top is perfect for the sunny side up egg lovers like me. It took me about 4 tests to understand the egg baking process. 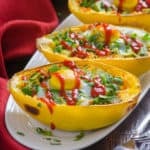 If you like runny egg yolk, do not make a well in the middle of the squash and break the egg on top. For a fully baked egg, sink it more into squash. 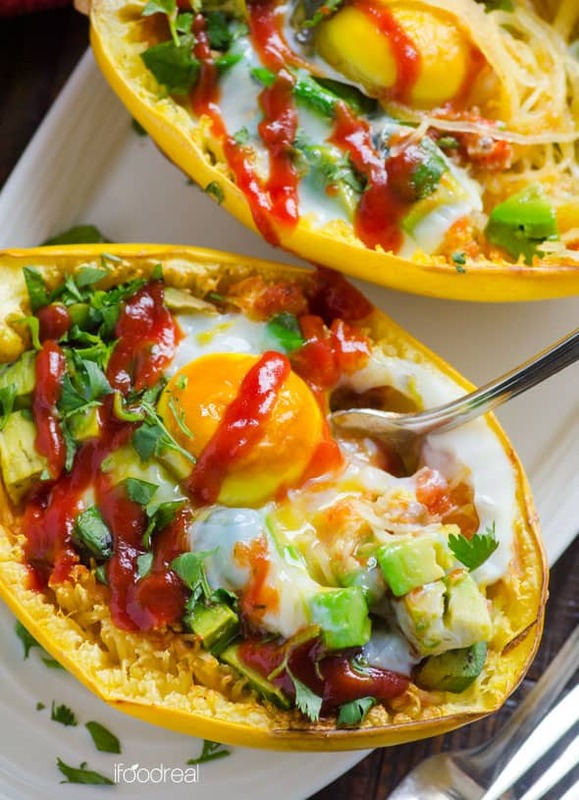 Baking at high temperature is key to moist squash and perfect egg. Ketchup is optional but really not. A tablespoon of organic ketchup is only 15 calories and 150 mg of sodium. That’s why I skipped the salt in this recipe. Organic ketchup is a clean condiment that should be used sparingly. I truly believe in balance when it comes to food and healthy lifestyle. 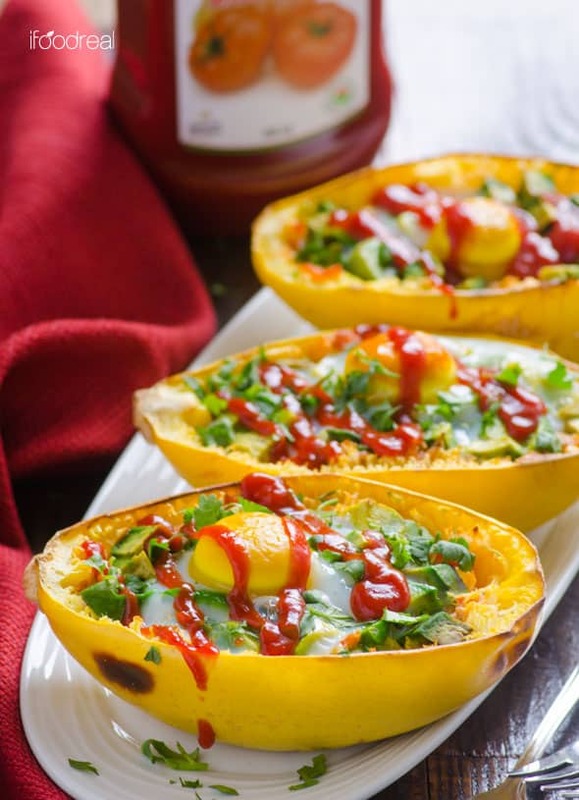 If you liked these spaghetti squash boats, check out these other “boats”: spaghetti squash boats Tex Mex, chicken Alfredo spaghetti squash boats and butter chicken spaghetti squash boats.